Learn more about how helicopters can benefit your agricultural operation in Arizona. Aerial participation in the protection and support of the US’s food supply has been going on for almost a hundred years. However, what most people think of when it comes to aerial application in Arizona, is fixed wing aircraft or crop dusting planes. That idea is about to change and with the recognition of helicopter benefits for the farming industry more and more growers are turning to rotorcraft spraying. Will you be one of them? Helicopters truly benefit farmers by providing the ability to access and spray crops even in the smallest or most confined areas. When a field is located on uneven terrain or surrounded by public areas, it is more difficult to use an airplane as they have no ability to maneuver around those spaces or to hover for precision. Additionally, with the growth in popularity if green-energy, wind farms are also only able to be traversed with helicopters. When FairLifts schedules a helicopter aerial application in Arizona, we arrange for a professional Growsafe and Chemical Handler certified pilot or operator to come to your location by way of platform truck. This cuts down on the need to pay for fuel to get back and forth to the airport and increases efficiency as chemicals can be prepared on the truck as well. Money is also saved by using smaller specialized aircraft. The Robinson R44, a smaller rotorcraft, equipped with a Simplex Aerospace Spray System, GPS (Global Positioning Systems), GIS (Geographical Information Systems), flow controls, real time meteorological systems and precisely calibrated spray equipment, is a frequently used model for aerial application by helicopter in Arizona. Helicopters provide a more even distribution of spray chemicals and water by utilizing the downdraft of their rotors, all applications can be adjusted based on crop height, volume and droplet diameter. Less of a surrounding environmental impact. The operations we schedule prevent runoff as well as they do not cause any compaction to the surrounding soil. Maximum coverage and penetration is achieved with the application elements and downdraft from helicopter rotors guaranteeing the underside of plants is also covered. With the great increase of green-energy more and more wind farms are being built around Arizona. Helicopters offer these wind-harnessing energy producers a flexible means of access not only for surveys but also for any crops in the area and field clearing. Ranching and agriculture are Arizona’s second largest source of revenue and contribute to 70% of the state’s water usage. With helicopter aerial applications, water usage can greatly be mitigated. By using helicopters for the initial spray that can be controlled by volume as well as drop size, you are doing your part to prevent earth fissures in the areas of Arizona prone to these. By utilizing helicopters for your crop spraying, you are not only guaranteeing your yield to be of superior quality, you are also ensuring you produce more throughout the year, saving you time and money. No matter what kind of crops you raise, aerial applications can benefit you. Arizona crops typically treated via helicopter include cotton, citrus fruits, lettuce, vegetables (other than lettuce), apples, and pecans. From aerial topdressing to application, the services we can offer you are all-encompassing. Treat or prevent diseases with fungicide and crop dusting of pesticides. 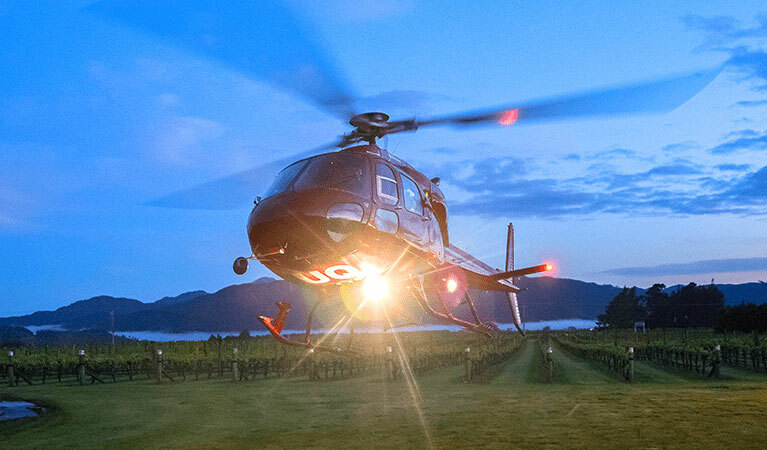 Helicopter services can be scheduled on a recurring basis or as a one-time assistance to your current ground operations. All aerial applications can be arranged for the duration of your grow season, which in Arizona, may be year round. Our ultimate goal is to assist you in producing more, increasing quality and ensuring your profits increase. While Arizona is known for its balmy winters with little to no frost threats, we do offer frost prevention and treatment to those living in and around the state. Frost prevention can include spraying a frost preventative or if the occasional cool temperature hits, we can arrange a flight out to dry your crops with rotor downdrafts. Being prepared for every possible situation, regardless of how unlikely, is how we guarantee you the best service on-demand. Herbicide spraying for noxious weeds and brush is vital when it comes to planting large fields. By utilizing only ground services to treat these nuisances, you are limiting yourself and your crops. Helicopters can provide a less-time consuming and cost effective option by treating your fields as a whole rather than you spend time treating each individual weed. For difficult and hard to reach areas, helicopters are unrivaled for their ability to evenly distribute herbicide and provide a greater coverage to areas that are more remote or uneven. Weed control, weed spraying for Brush weeds, including gorse, blackberry and scrub spraying are also available. Insects and small animals can wreak havoc on crops in many ways and are hard to treat all at once. Often a colony will move from place to place as you try and keep up. But with the full-coverage spraying of a helicopter, you can rid yourself of these pests once and for all. Helicopters can assist you in accessing hard to reach locations or large swaths of crop-land. Both pesticide and larvicide can be arranged to cover the full life-cycle of the nuisance mosquitos or other pests. We work with operators who are specifically trained to mitigate spray and pesticide drift and are in compliance with Arizona laws for pesticide applications. Experts are standing by to get you a fast quote for your agricultural job in Arizona! FairLifts works with professional aerial agriculture operators to support the aviation industry as well as to guarantee our clients have the spray job needed done right. We focus on working with only those that have been trained to mitigate the environmental footprint of helicopter operations as well as those extensively experienced to ensure you are gaining more quality products and profits. From forestry services, to simple hydroseeding, we can offer you the most options to make you more money safely and efficiently. Contact us today by giving us a call or navigating to our contact page and we will discuss your specific aerial application needs.